Parke County, Indiana is known as the Covered Bridge Capital of the World, with 31 existing covered bridges. Having been built between 1856 and 1920, these bridges have stood the test of time, maintaining a visual link to our past. Indiana once had over 600 covered bridges throughout the state, but, unfortunately, a mere 90 remain today. You can find 31 of them in Parke County! Three years in the making, this video describes the basics of covered bridge history, discusses the architectural differences in the building truss designs, answers the question of why there are so many covered bridges in Parke County, and provides a visual tour of all of the bridges throughout the county. Historic photographs provide accents to the contemporary photos, and video footage from on the water and in the air offer rarely seen visuals of these architectural marvels. This one hour documentary delves into the earliest years of Indiana’s state prison system with the construction of the Indiana Prison in 1847, later renamed the Indiana Reformatory. The reuse of this facility as a soap making plant for Colgate-Palmolive in 1921 created one of Clark County’s largest employers for more than eight decades. 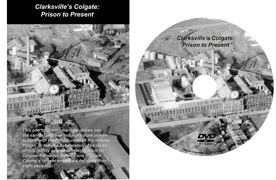 The video includes never before seen photos of the prison and Colgate’s Jeffersonville plant in Clarksville. Building blueprints, aerial photos, and first person interviews with the employees that worked there make this a one of a kind video. This video is a one hour documentary on the fifty-two year life of the Indiana Army Ammunition Plant, known as the smokeless powder manufacturing and bag loading facility in Charlestown, Indiana. 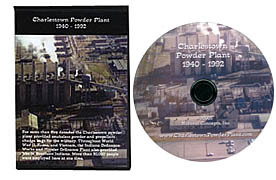 For more than five decades the powder plant provided smokeless powder and propellant charge bags for the military. Throughout WW II, Korea, and Vietnam, the Indiana Ordnance Works and Hoosier Ordnance Plant also provided jobs. More than 50,000 people were employed here at one time. This collection of first person interviews is rich in historical photos, maps, and images of the earlier Fern Grove Picnic Area, and Rose Island. 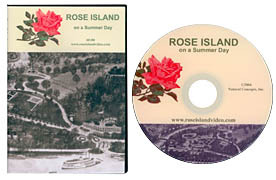 As seen through the eyes of children, you’ll hear about the fun and wonders found at Rose Island over seventy years ago. 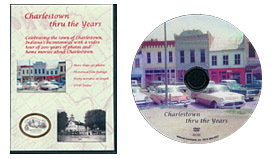 Celebrating the town of Charlestown, Indiana’s bicentennial with a video tour of 200 years of photos and home movies about Charlestown. This forty minute DVD includes more than 130 photos, historical film footage from the 1940’s, 1960′ and 1990’s. 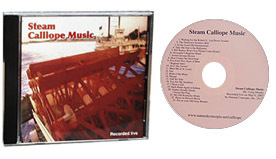 This great collection of twenty-three, steam calliope musical favorites was recorded live by a calliope player who once played aboard the Belle of Louisville steamboat. His lively renditions come from real life experieince of playing for audiences cruising on the Ohio River in one of history’s greatest methods of transportation: a river steamboat. A few of the songs on the CD include: In the Good Old Summertime, Take Me Out to the Ballgame, Ain’t She Sweet, You Are My Sunshine, I Want a Girl, Swanee, Back Home Again in Indiana, and My Old Kentucky Home. The steam calliope instrument used in the production of this wonderful CD was a 1939 Tangley Calliaphone, known as a calliope. In 1994, the antique calliaphone was donated to the City of Paducah, Kentucky and restored by the River Heritage Museum, where it is currently on display.